As a law firm that is experienced in representing the rights of those injured on the job we have represented thousands of New York workers recover workers’ compensation and disability benefits. Below is a listing of the most common professions that we encounter. Please note: if your profession is not listed, that doesn’t mean we won’t represent you! Our workers’ comp and social security disability attorneys can represent anyone in any profession who has been injured on the job, or suffered a disability while exercising the duties of their employment. New York is home to some of the hardest working men and women in America. At Markhoff & Mittman, P.C., we appreciate hard work and believe that injured workers deserve to be supported through the workers’ compensation that they are entitled to. Were you injured on the job? You may be entitled to receive workers’ compensation for your injuries. Contact Markhoff & Mittman, P.C. today at (866) 205-2415 for a free consultation. We are dedicated to representing the rights of injured workers in all industries to obtain workers’ compensation. Carpenters – Carpenters are essential to the construction industry in New York. Unfortunately, hard-working carpenters often sustain injuries in the course of work. Some of the most common types of accidents leading to injuries include fall accidents, and injuries from repetitive motions. Construction Workers – The construction industry is inherently dangerous. Heavy equipment, hazardous tools and elevated heights often cause accidents on construction sites. This is especially true in New York City which is home to one of the most dangerous construction industries in America. Electricians – Electricians are exposed to dangerous working conditions every day. Electrical work involves serious risks including electrical shock, fall accidents and other hazardous conditions. Truck Drivers – From truck crashes to loading and unloading accidents, we represent injured truck drivers throughout New York City. Whether you work for a delivery service or major trucking company, you may be entitled to workers’ compensation for injuries sustained on the job. Warehouse / Distribution Workers – Employment in warehouses usually involves heavy lifting and work with dangerous equipment. Injuries are often caused by forklift accidents, fall accidents and . Health Care Workers – Workers in the healthcare industry are regularly exposed to infectious disease and other hazards that can cause serious injuries. Additionally, hospital workers are commonly victims of slip and fall accidents. Oil & Gas Industry Workers – Oil and gas drilling is known as one of the most dangerous lines of work in America. In addition to injuries caused by heavy equipment and machines, workers in the oil industry are at risk of being injured in fire and explosion accidents. Office Workers – Many people consider the office to be a hazard free working environment. However, this is not true. Accidents happen in all types of work environments including offices. Employers in all industries have the legal responsibility to maintain a safe work environment, but this is not always the case. Some of the most common types of injuries that occur in the office include repetitive motion injuries, lifting injuries and injuries from trip or slip accidents. Factory Workers / Machine Operators – Factory workers often sustain injuries from repetitive motions or interaction with dangerous machines and equipment. In some scenarios, factory workers can sustain permanent injuries resulting in an inability to work. Service Industry Workers – The service sectors covers a broad range of jobs which can all be potentially dangerous. Workers in the service industry can be injured in a variety of different types of accidents. These are just a few of the industries in which we represent injured workers, however we represent workers from all industries to help them recover the compensation that they are owed. 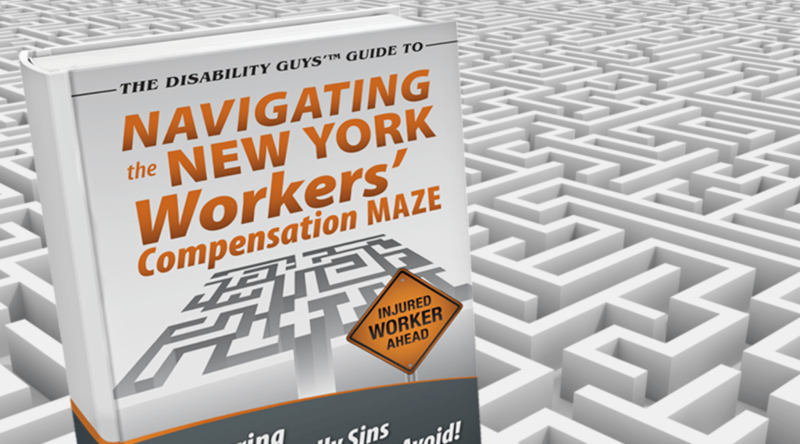 Under New York law, injured workers are entitled workers’ compensation for injuries that were suffered on the job, no matter what caused the injury. Unfortunately, many injured workers do not obtain the compensation that they are entitled to because they do not seek professional help. Additionally, many of the workers who are able to win their workers’ compensation claim do not receive the maximum compensation that they deserve. Have you or a loved one been injured on the job? Contact our experienced workers’ compensation lawyer today for a free consultation to discuss your case. We will help you navigate the workers’ compensation claims process and work with you to maximize your chances of obtaining full compensation for your injuries. Call us today at (866) 205-2415 or fill out our online contact form.